A spokesman for Hillary Clinton’s presidential campaign implied that the inspector general of the intelligence community, an Obama nominee, has been coordinating with Republicans to damage Clinton by leaking information about her ongoing personal email controversy. Brian Fallon, the Clinton spokesman, made the comments in response to news reports Tuesday about a letter Charles McCullough III wrote to top lawmakers laying out a recent intelligence review that found "several dozen" classified emails on Clinton’s personal server, some of which contained intelligence from the government’s most secret programs. "I think this was a very coordinated leak yesterday," Fallon told CNN Wednesday, going on to accuse McCullough of working with Republicans to smear Clinton. "Two months ago, there was a political report that directly challenged the findings of this inspector general and I don’t think he liked that very much. I think that he put two Republican senators up to sending him a letter so that he would have an excuse to resurface the same allegations that he made back in the summer that have been discredited," Fallon stated. Last summer, McCullough initially concluded from a sample of emails from Clinton’s private system that two messages contained top secret information at the time they were sent or received, a finding that the Clinton campaign has disputed. 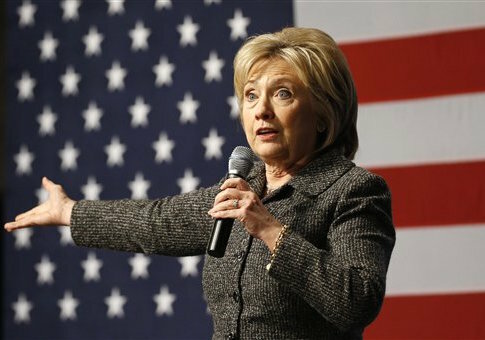 The FBI later began probing Clinton’s personal email setup. The Clinton spokesman’s comments Wednesday sought to discredit McCullough, a nominee of President Obama who has been lauded by Democrats. McCullough was nominated as inspector general of the intelligence community by Obama in August 2011, two months later winning unanimous confirmation from the Senate Intelligence Community. In November 2011, the inspector general was confirmed to the top post by the full Democratic-led Senate in a vote of unanimous consent. Prominent Senate Democrats, including Sens. Dianne Feinstein (D., Calif.), Ron Wyden (D., Ore.), and Mark Udall (D., Colo.), touted McCullough’s experience during the confirmation process. "Mr. McCullough is well-qualified to be this first ICIG. He has long experience conducting investigations both as an inspector general and a FBI agent. He is an attorney and is well-familiar with the intelligence community," Feinstein said in a November speech on the Senate floor on the day of his confirmation. In the letter sent to lawmakers overseeing the intelligence community and the State Department earlier this month, McCullough wrote that some Clinton emails contained intelligence from "special access programs," which is more sensitive than "top secret" classified information. Clinton has endured criticism for her personal email since it was revealed last March that she used it to conduct government business while at the State Department. Clinton’s favorability and honesty ratings have fallen with the revelations, and she has also recently lost ground to her competitor for the Democratic nomination, Sen. Bernie Sanders (I., Vt.), in key states.